Where’s the Craic?? Can’t believe it’s 7 years already!! 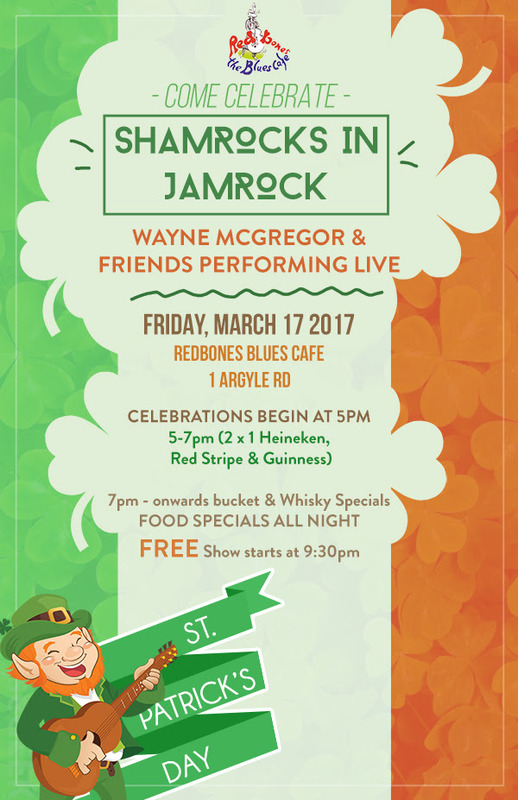 Redbones Argyle celebrates another milestone! Come celebrate St Patrick’s Day with us. From 5pm-7pm we will feature 2 x 1 Heineken, Red Stripe and Guinness. From 7pm onwards we will have bucket and whiskey Specials. At 9:30pm Wayne McGregor & Friends will be performing LIVE and the show is FREE! We will have Food Specials & Irish Music throughout the night! !